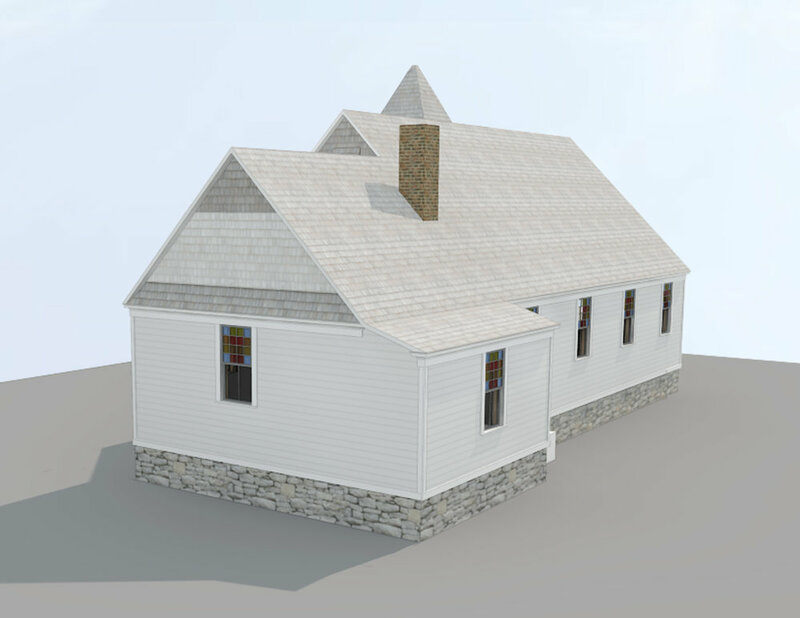 Clinton AME Zion Church — Clark + Green, Inc.
Clinton Church Restoration is a nonprofit organization formed to save, preserve and re-purpose the former Clinton A.M.E. Zion Church at 9 Elm Court in downtown Great Barrington, MA. Clark + Green has been assisting Clinton Church Restoration with the first steps in the rehabilitation of the former church structure. Clark + Green has completed a Historic Structures Report (HSR) and a conditions assessment, participated in a community programming charrette, and provided major assistance with grant applications. The project has already received significant funding from the Massachusetts Preservation Project Funds and the National Park Service, and is expected to receive Community Preservation funding as well. 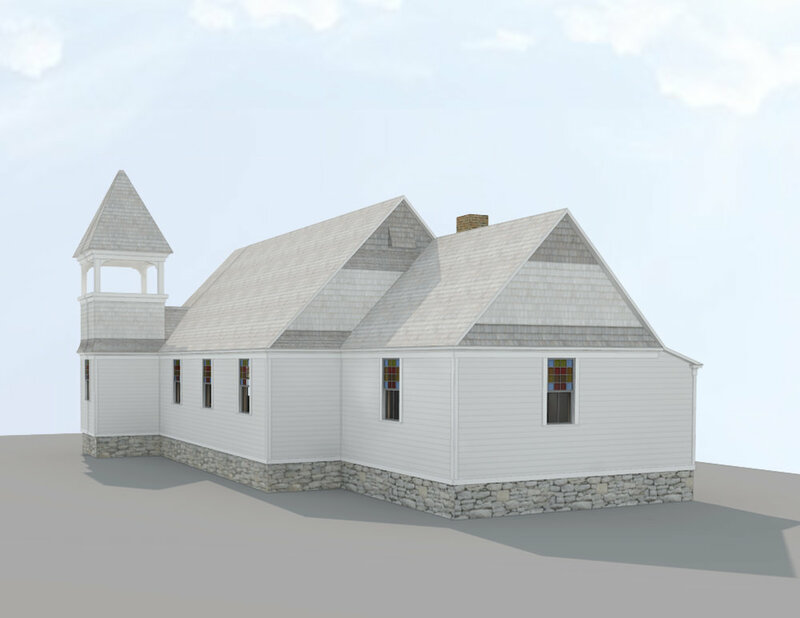 The next step in the project will be the design to reuse the church as a cultural center for the community with a focus on the significance of Great Barrington's African-American community and its members, including W.E.B. Du Bois and Rev. Esther Dozier, among others. 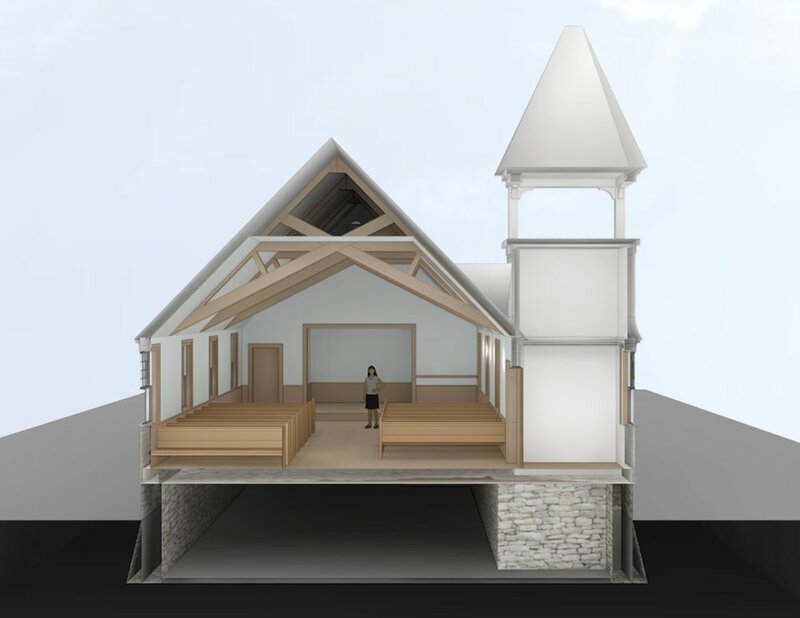 Below are a few images of the re-imagined original church structure before later alterations.